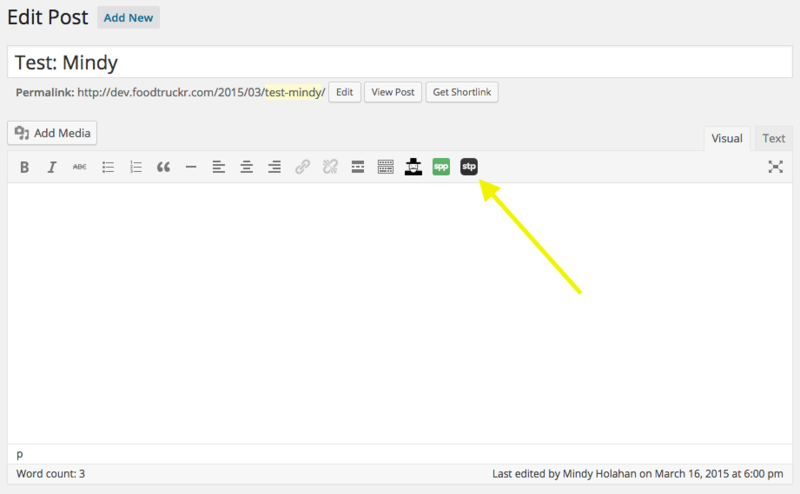 The Smart Track Player is also added to pages and posts using a shortcode. Watch this video to find out how. If you don't see the visual editor tab, read this article. 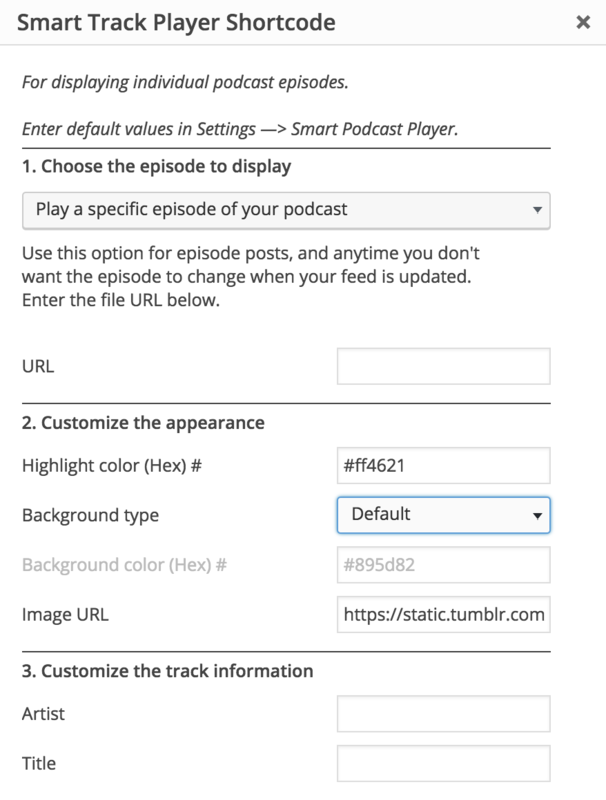 The process of adding in the Smart Track Player is similar to that for the Smart Podcast Player, except that the URL field behaves differently. You will always need to specify a URL in your Smart Track Player shortcode. Click on the grey STP button. If you want to play a specific episode from the MP3 file, select Play a specific episode of your podcast. In the URL box, add the URL for the individual podcast track you wish to play (more on this below). If you would rather play the latest episode from your podcast's RSS feed, select Play the most recent episode in your feed. Then, enter the URL of your podcast feed in the URL box. Customize any other features (more on this below) and click Build Shortcode. Where you'll find your podcast track URL is different for each podcast host. You won't be able to get the track URL from iTunes; you'll need to get that from your podcast host, such as Libsyn, BuzzSprout, Soundcloud. Unless you're using Soundcloud, this URL usually ends in .MP3. Soundcloud: This is the URL you specified when you published the track. It will follow this format: https://www.soundcloud.com/yourusername/your-episode-title. Libsyn: This is the Direct Download URL that you received after publishing your episode or your File for Download Only (begins http://traffic.libsyn.com/yourshowname). To retrieve it, log in to your Libsyn account. Go to Previously Published Content. Click on the links button. Copy and paste this Traffic URL. Other Hosts: The process is similar to Libsyn, regardless of your podcast host. Look for the individual episode link, almost always ending in .MP3. In addition to specifying your episode URL, you can tweak the appearance of your player. Color (Hex) #: Specify the player's color using a hex value. Learn more about this here. Image URL: Add an image to your track player. Learn more about this here. Artist: Add your podcast host's name to the player (yellow arrow). Learn more about this here. Title: By default, the Smart Track Player will display the podcast’s track title that you added when you created the file. Use this field to override that title (red arrow). Display social sharing buttons: Select whether you want social sharing buttons to appear in the track player. Social sharing buttons: Select which social sharing buttons you'd like to appear in the track player. Learn more about this here. 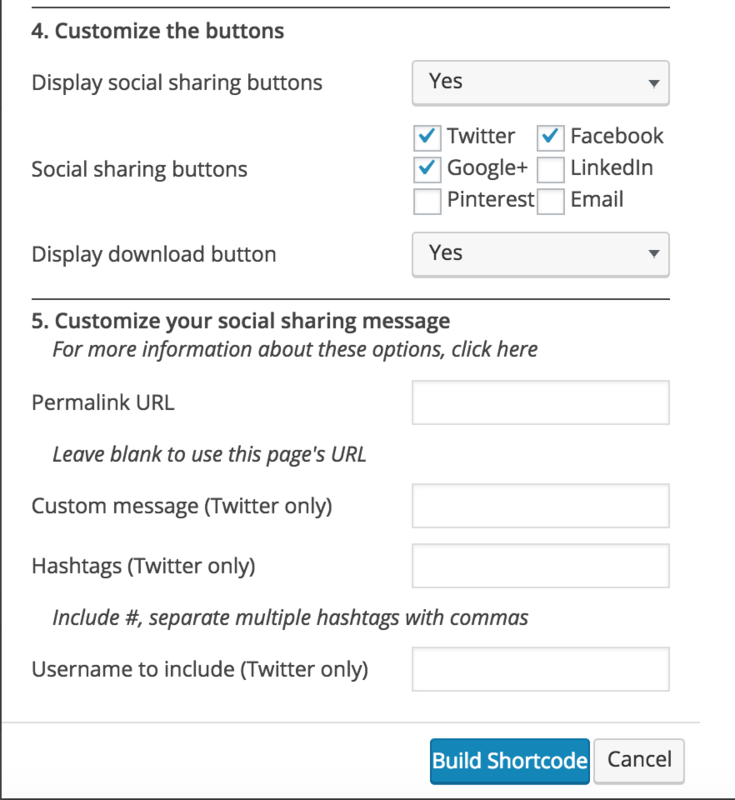 Customize your social sharing message: Add an optional URL, custom message, hashtags, and username to include in social messages when people share on social media. Display download button: Set this to No to remove the download button. Learn more about this here.